We help people with ALS. You can too. Our Mission: To empower families as they face the challenge of living actively with ALS by providing free home care and other services at no cost. 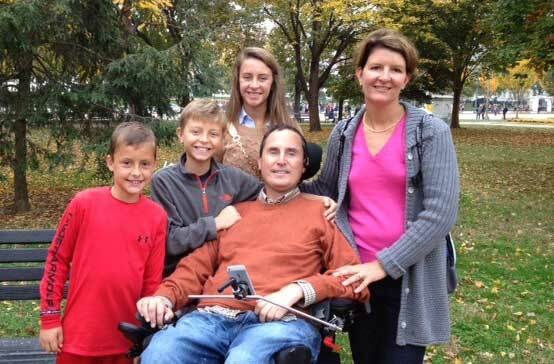 We believe a strong support system can help individuals and families living with ALS obtain the best caregiving techniques, equipment & bolster their will to fight this disease. 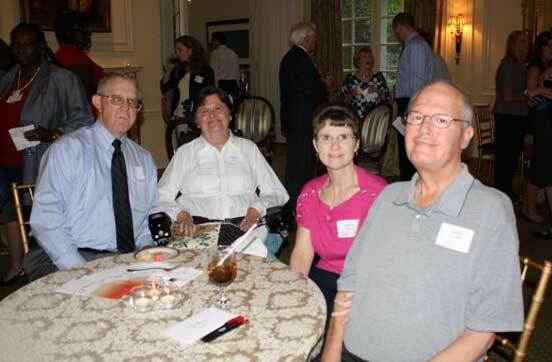 Homecare aides and nurses provide independence and possibility for people living with ALS. Independence for people with ALS(PALS), in turn, enables their families to have a large measure of freedom and independence as well. Our staff is available to help train those that would like to learn how to be a caregiver for someone with ALS. These training and coaching sessions can be done in the home, so they are customized and tailored to the person with ALS and their needs. We share resources and information with ALS (PALS) patients and their caregivers (CALS), including information on the latest assistive technology, caregiver support groups, accessible travel, accessible home assessments and more. 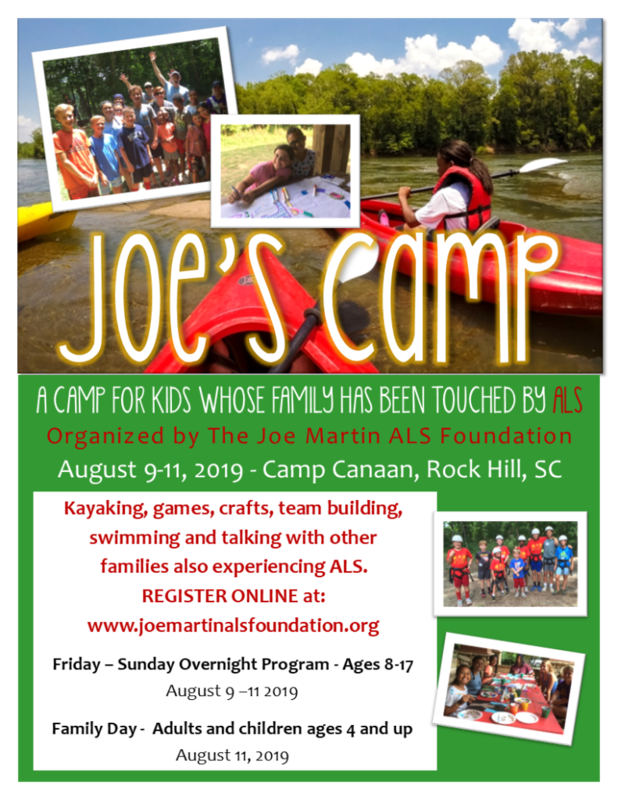 Joe's Camp is a summer camp for kids whose family has been touched or affected by ALS. This year we are offering an overnight program for kids ages 8-17, and a one day family day for the parents, grandparents, children younger than 8 or those that do not wish to stay overnight. We will have lots of fun adventure activities, swimming, boating, crafts and an opportunity to talk with others about ALS in age appropriate ways. 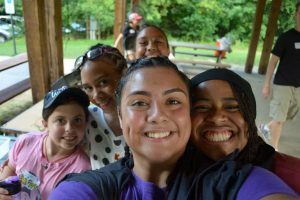 There is no cost to attend Joe’s Camp and the weekend includes lodging and meals. Join us for the annual Live Every Day Dinner, an evening of celebration and inspiration to support the Joe Martin ALS Foundation. 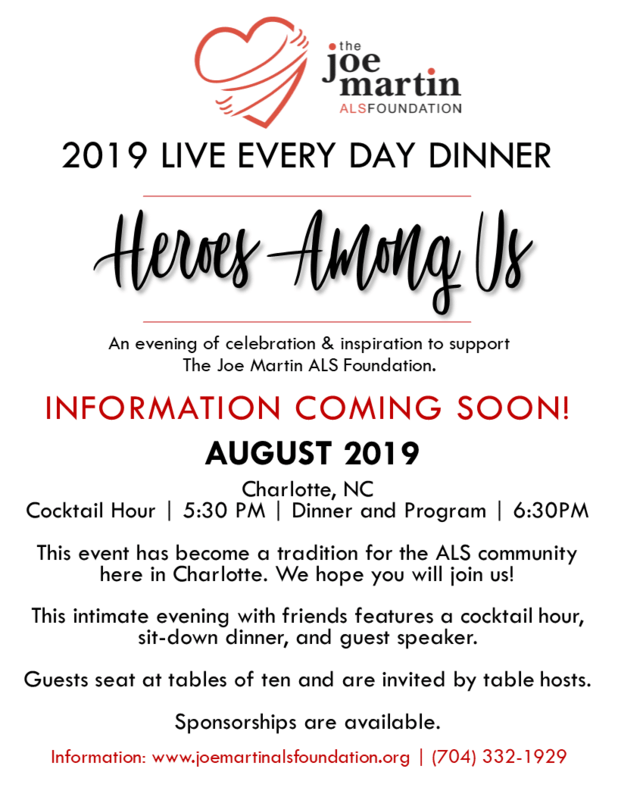 If you are interested in learning more on attending the event, sponsoring, or host a table, please contact Sarah Hayden at 704-332-1929 or sarahhayden@joemartinalsfoundation.org. 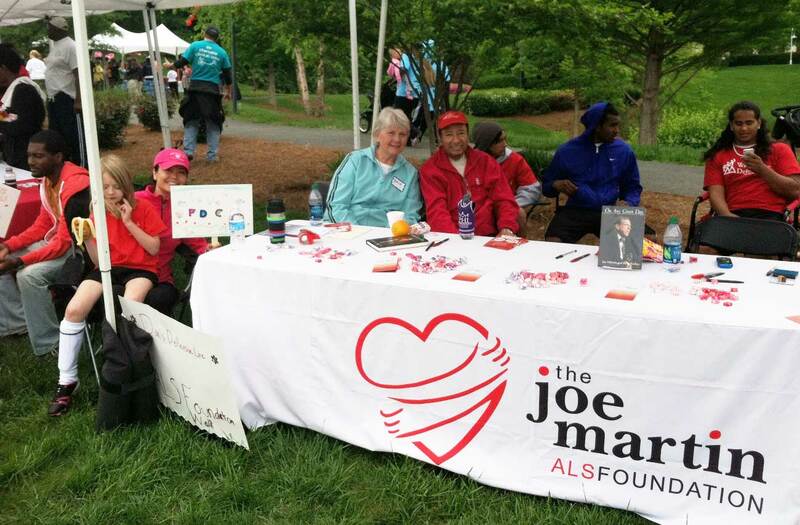 Do you, your company or organization want to help the Joe Martin ALS Foundation help people with ALS? Do you have a great idea for a fundraiser? We are here to help! The Joe Martin ALS Foundation will provide fundraising materials and online tools, coaching and goal setting as well as marketing and design expertise. After being diagnosed with Lou Gehrig’s disease, Joe Martin decided if he could not recover from the disease, he would recover from the diagnosis. He resolved to live life as actively as possible and he wanted to help others do the same. The foundation that bears his name turned his vision to reality. Read more about Joe Martin.